Here are the 5 great performance principles I learned from my piano teacher. Big questions right now: Are you training with methods that actually change behavior, or are you just imparting information you think will help your students? PS. If you want creative training techniques that really do change behavior, check out my unique course, Instructor Development Workshop. Or, see my distance learning version, Train the Trainer. Both qualify instructors to teach clock hour courses in Washington state. How do you know you’re changing behavior as a result of your class? By watching them in class and either getting together with them again for results, or surveying them months after your class. Why Use Piano Teachers as the Analogy…. I use the analogy of the piano teacher, because it’s easy to hear differences in sloppy and great performance. I’m sure you’ve heard 2 people play the same piece of music. One plays it accurately and one just kind of slops through it. Or, some piano teachers’ students drop out, unmotivated to practice, while others stay motivated, challenged, and achieve high performance–even if they don’t seem to have great talent. From having taken piano lessons since age six, gaining a degree in piano performance, and having taught piano at the grade, high school, and college level, I’ve had an opportunity to see the great and the not-so-great–both teachers and performers. Here are the five components I’ve discovered make the biggest difference in great performance (which is what you want to shoot for when you teach!). 1. Great piano teachers screen in and screen out. They don’t let just anybody take lessons from them. Trainers and coaches: What’s your ‘screen in’ process? Do you have one? Do you have a list of questions you ask? In our coaching company, we have a prescribed list of questions we ask potential clients (and we unfortunately have to turn down some). I even have a Coachability Assessment I provide potential clients. Click here to request your copy. 2. Great piano teachers set expected standards (minimums) during the screening process–not after the lessons start! Those standards include: Amount of practice each day, recitals attended and played in, going to lessons, etc. Trainers and coaches: What do you expect of your clients? Make a list of at least 5 standards now–and get the ‘mutual expectations’ agreement in writing prior to letting them into your program. 3. 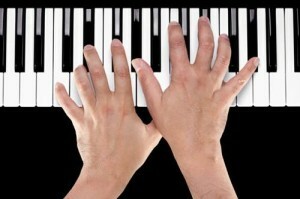 Great piano teachers figure out the ‘competency levels’ they want their students to attain–and when they expect them. They won’t let the students perform in front of others if the student has not reached compentency levels. Trainers and coaches: How good do you expect your students to get in that one-month training program you’ve been doing? Do you even measure skill levels? Which skill levels to you measure? How? Do you have your students practice their listing presentations until they reach the level of competency you believe the real client expects? What an eye-opener! Make a list now of 5 skills and the level of competency you want your students to attain in your training program. You’ll see your outcomes go way up just by doing this. 4. Great piano teachers get better performance because their excellent students motivate other good students to excellence. Trainers and coaches: Have you ever gotten yourself into the situation where you felt like you were way above the other people in your group? This isn’t an ego thing–it’s just a ‘I don’t belong here’ thing. Likes attract. Good performers motivate other good performers. Excellent performers stay. Are you creating a self-motivating group–or, are you creating a situation where your good performers will leave for a team that is ‘more like them’? This goes back to those ‘screen in’ and setting competency principles. I know we all feel challenged when people don’t appear motivated. Here’s one of the secrets to fire them up! 5. Great piano teachers provide lavish praise–when deserved. Behavior that’s rewarded is repeated. If you have competency levels, you have a way and a reason to praise. Your students/clients know when they have reached those levels–and can expect praise, too! In fact, strong students/clients will ask you for praise. Write down the 5-10 methods you use to appreciate and praise good performance. If you can’t get to 10, figure them out. But, what about the method? The specific coaching, the training? Yes, the method is important, but the coaching/training techniques above are much more important. I’ve heard some great performers and some poor performers all playing the same kind of music from the same method. At the same time, great methods should have some ‘built-in’ features that assure the trainer/coach is achieving these 5 principles. From talking with prominent trainers, managers, and coaches, we’ve pinpointed a need for all those training and coaching today to get the coaching they need to turn out great performers. So, each one of these 5 principles is in my initial online training program for newer agents: Up and Running in Real Estate. Check it out. Your agents will be performing better and faster with this program and principles. Is Your Initial Training Program Getting the Results you Want? Or, a better question: Do you know what the results are? With my online training program, Up and Running in Real Estate, you see the progress your agent is making each week. You measure the results in concrete terms. Check it out. It will save you time, and money, and give you much greater retention! What Should You Expect Your First Week in the Business? Herea��s Your Desk, Herea��s Your Phone, Got Any Questionsa��..
And, those were both things that happened to me. You may even conclude thata��s how real estate was sold. Wrong. Unfortunately, neither of these activities makes you any money. So, I quickly figured out I couldna��t do things like the agents in the office did them, or I would produce the same amount they produceda��3-4 sales a year. (There were two others in the office, but I never saw them, because they were out sellinga��.). Orientation: Get everything done on the orientation checklist your manager provided. Work with the secretary or assistant to complete all the tasks, so youa��re ready to sell real estate. Start-up checklist: Your manager may provide a start-up checklist, which has things on it such as a�?create a databasea��; call potential clientsa��; a�?meet with a mortgage repa��. These lists can include business developing and business-supporting activities. Just be sure they are targeted to start your business successfullya��not just give you busywork. Schedule your initial training: Your company should have an initial training program that occurs at least every two months. Schedule attendance at it. Chapter 9 has a comprehensive new agent training calendar you can use to compare to what youa��ve requested in the interview. Property inspection: Every new agent wants to feel comfortable with inventory. So, schedule inspection of listings for 3-5 hours this week, and during your first month. As you become comfortable with inventory, dona��t a�?previewa�� any more than you need toA� feel comfortable working with buyers and sellers. Top-producing agents preview with a reason: To do research on a potential listing, or to preview with a specific buyer in mind. They dona��t have time just to preview pretty properties because they are on the marketa��but non-producing agents have plenty of time to become a�?property expertsa��. See my business start-up plan, A�for a good prototype schedule for yourself, so you’ll get great time management habits from day 1. Here’s the easiest, least expensive, and effective thing your agents can do to get business. Having hired and trained probably hundreds of new agents, I know the myriad of questions they have. So, here’s the simplest, yet most effective thing you can teach your new agents (and your experienced agents) to do. Herea��s the answer to the question, a�?What is the one thing I should do to get business?a�? Yes, people are always asking me that. I think ita��s because Ia��ve written two resources for would-be and new agents: What They Don’t Teach You in Pre-License SchoolA� and Up and Running in 30 Days . By the way, Up and Running was just published in its 5th edition! Because manners and a�?thank yousa�� have gotten increasingly uncommon! You will stand out simply because youa��ve taken the time, thought about that person, and cared enough to writea��and put that stamp on it. Ia��m not going to tell your new agents to write a certain number of notes per day. You and your agents can set your standard (that means the minimum youa��ll do). Thank you. Thinking about you. I appreciate you. I used your advice. Herea��s something for you that would be helpful. I found the information you wanted. Note to managers: This is also one of the strongest motivational tools you’ll ever have–writing notes to your agents with encouragement, thanks, etc. Do you do enough of it? Set your own goals now. Contacting people is simply finding an excuse to write, pick up the phone, or go see. Retaining salespeople is similar! My challenge: How creative can you get? Your agents are more creative than they think they are. Now, get them to sit down and think hard about 5 people they’ve started to work with, but need to contact now. What about them fits into any scenario for you to write that note, pick up the phone, or go see? They are now using a�?advanceda�� sales techniques, and they already know how to do all of this. Sales meeting tip: One of the managers I know actually has agents write these notes during a sales meeting, and brainstorms the reasons one could write a note. My first year in real estate, I sold 40 homes. Also, I sent more things in the mail than any other of the 30 agents in my office. Why? Because I wanted to create a a�?critical massa�� of people who thought I was wonderful. Yes, an agent can also do this with social media. But, you want to stand out. And, you will stand out much more if you write to one person than to many. After all, you are working with that one person who will pay you thousands of dollars. He/she is worth that special, individual effort! 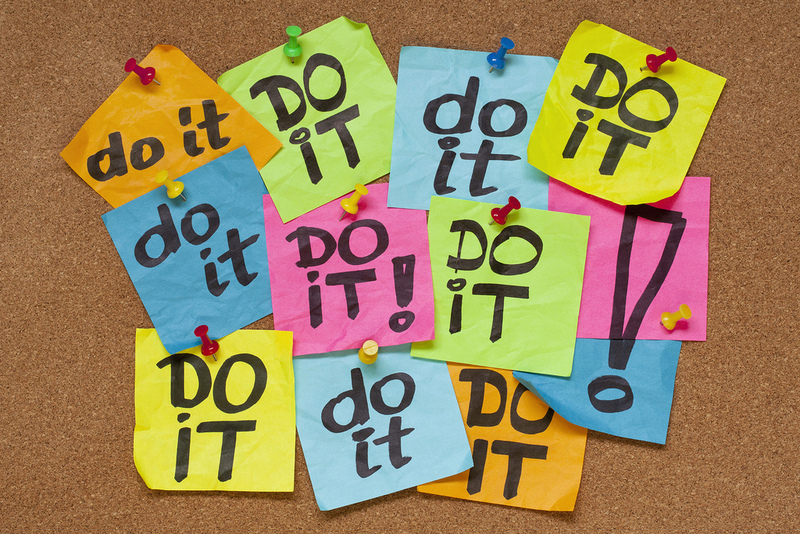 That’s the one thing your agentsA� should do to get business. Managers: How are you making this simple tip work for you and your agents? Help Your Agents Get a Sale Much Faster! Why not provide your agents a proven business start-up plan, along with hundreds of success tips? Check out the new 5th edition of Up and Running in 30 Days. How Good is Your Agents’ Start-Up Plan? 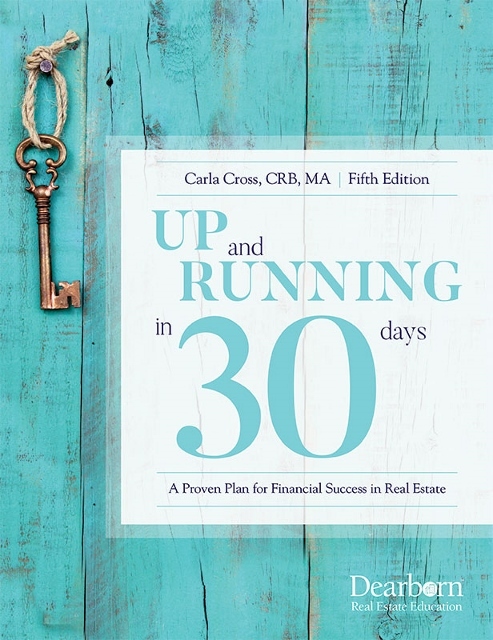 This month, I’m featuring excerpts from my new 5th edition of Up and Running in 30 Days. They are laundry lists of busywork activities interspersed with activities that actually make you money, so the agent doesna��t get any evaluative perspective to self-manage. They do not prioritize lead-generating activities, so the agent thinks all types of lead generation have equal payoffs. They do incorrectly prioritize actions. For example, as a high priority, they direct the new agent to a�?see all the inventorya�? before doing anything else. The rationale is that ita��s very important to see all the inventory to build a knowledge base. It is important, but only as it relates to working with buyers and sellers. (Ita��s the means, not the end.) But new agents dona��t want to do the high-rejection, high-risk activities such as talking to people. So they gladly see all the inventory until it becomes their job descriptions! They do include plenty of a�?busyworka�? as equal priority to lead generatinga��such as a broker having an agent visit a title company to learn how it operates. This keeps the agent busy and out of the brokera��s hair! Also, the new agent loves the broker for a while, because the broker isna��t asking the new agent to do those high-rejection activitiesa��those activities that lead to a sale! Bottom line: No would-be successful agent in his right mind would continue doing this type of plan any longer than he had to, because the successful agent recognizes the plan is a poor one. * Big Idea: Be very critical before you commit to any start-up plan. It is prioritizing your mind! The start-up plan you may love because it keeps you out of sales activities isna��t the plan that is going to love you back (get you the sales you want). What you do every day becomes your job description. Managers/trainers: How well did your start-up plan score? Why not try using a proven plan that gets much better results faster? You’ll increase your retention and your profits! Are You Using the Best Start-Up Plan for your New Agents? Does your plan have the detailed, prioritized checklists needed to assure a great start? Does it have built-in inspiration and motivation? Does it have dozens of tips to control the attitude? If not, you need Up and Running in 30 Days. Just out in its 5th edition, it’s the most successful book for new real estate agents ever! Click here to see the updates in my fifth edition of Up and Running in 30 Days.